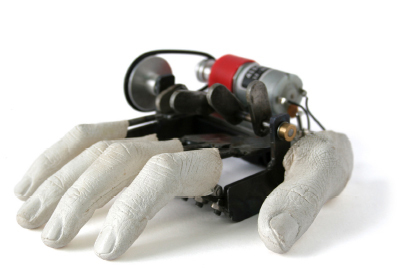 After the Art Fair, Nik proposed that we could potentially develop his Fingers machine. We immediately agreed. Nik’s original fingers piece was mains powered and our first decision was to convert the piece to be battery powered, so that our customers could have more freedom with where it should be placed in their homes. Together with Nik we made a prototype and then step by step looked for engineering soloutions to reduce the number of parts and ease the assembly process of the product. Whilst all the time trying not to lose the charm and industrial aesthetic of Nik’s original piece we managed to remove all of the welded joints, that had been used in 10 – 15 places and reduce the number of parts by over 30%. It was an overnight success, a video of the product received more than 55,000 views on You Tube in just one night. In November 2009, we were invited to show Fingers in the window of the Paul Smith store in Covent Garden. This was such a success that it was quickly followed by a visit for Fingers to the Copenhagen Paul Smith store. A set of only 10 Artist Proof products were made in 2009 and promptly sold out. So, in 2010 we decided that our craftsmen at Laikingland would take over from Nik to produce a limited edition of 25 pieces. These pieces continued the success story with crowd stopping finger tapping performances at the Milan Salone de Mobile, the Shanghai World Expo and in a window display at the world famous Parisian lifestyle store, colette. A new bright and shiny aluminium edition, aptly titled Fingers Mk II was released in January 2012 and is currently available from the Laikingland shop. See Fingers in the Laikingland shop. 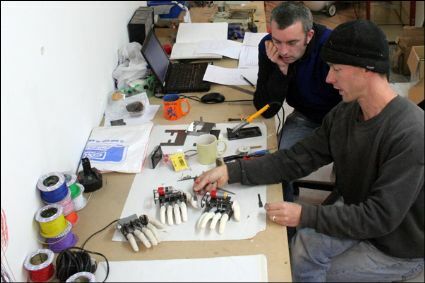 Nick Regan and Nik Ramage working on the Fingers prototypes. 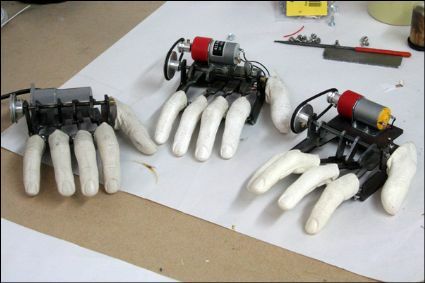 Left to right: Original Fingers, 1st prototype and the limited edition version. Olivia Ball assembling the editioned versions of Fingers.